“We had a major problem with a sewer backup. We called PineRidge and they were there immediately to clean up the mess. They removed the furniture & carpet, cleaned and sanitized all areas so there would be no future problems with mold. They then personally worked with our insurance company to ensure we would receive full reimbursement for the proper repairs that were needed. The crew treated us just as they would their own family in working thru this stressful time. We highly recommend Pine Ridge for the services provided.” – Micheal L.
Water can cause damage quickly and must be addressed immediately in order to minimize destructive results. A leaky, frozen or broken pipe, a sink or toilet overflow, a malfunctioning water heater, dishwasher, or washing machine, or serious flooding can cause serious damage to your home in a short timeframe, leaving you confused and overwhelmed. 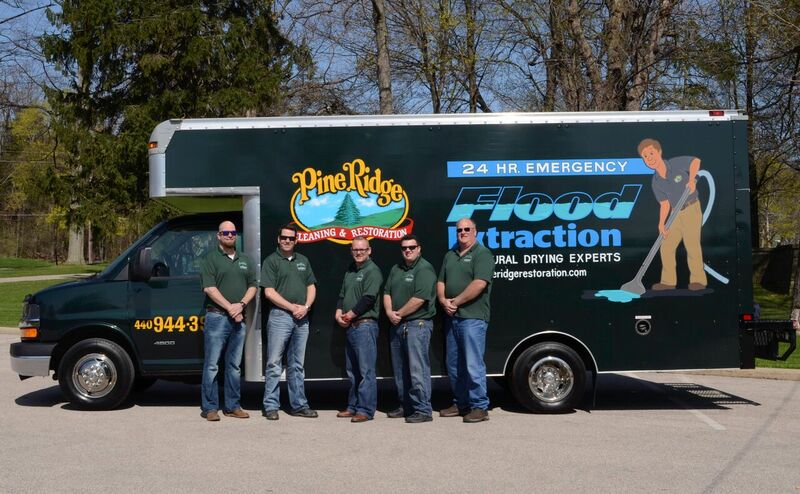 Pine Ridge Cleaning & Restoration will guide you through the water damage cleanup process from start to finish. We are available 24 hours a day, 7 days a week. We will arrive quickly and prepared to start mitigating the damage right away. Our crew will begin safe and swift removal of affected contents. From here, we begin water removal and water cleanup. Depending on the extent of the water damage, floor coverings and baseboards may need to be removed. Structural drying equipment is then placed in accordance with industry standards to rapidly remove any remaining water from the building materials. Once mitigation is underway, we will monitor and document the drying progress to completion. Our experienced estimator will submit all the necessary paperwork to your insurance company. We will serve as the liaison to your insurance adjuster, working to ensure you receive the loss settlement to which you are entitled. 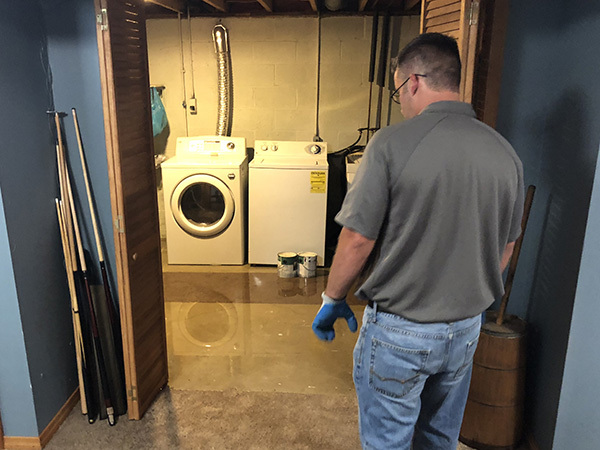 We strive to make the entire water damage restoration process as seamless and easy as possible for you, and will keep you informed every step of the way. Our goal is to restore your home back to its original condition as soon as possible so you can return to clean and healthy living. 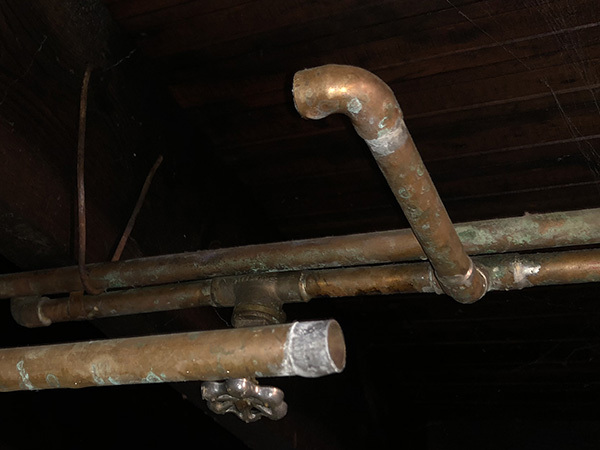 Fresh water losses often occur from faulty flexible supply lines and/or frozen pipes. Often times this occurs a top-down wetting scenario, affecting floors, walls, ceilings, and everything in between. A frozen, broken or leaky pipe are all inconveniences that can lead to major headaches for your home. Ignoring these repairs can be extremely costly, as water damage can lead to an unstable structure and damage to your valuables. Should you need any help with a burst or frozen pipe or are dealing with water or flooding at all, we have what it takes to rectify these drying scenarios with minimal destruction to your property. Faulty submersible pumps are one of the most common sources of a water damage loss. Heavy rains are largely the culprit, putting a strain on a pump that isn’t designed to work continuously. Sump pumps are located on the lowest level of a property, and a sump pump failure often leads to basement water damage. In most cases, the water will only affect the flooring area and up to 2 feet of walls. Due to the nature of the water source, most damaged materials can be dried and saved. Sewage damage is usually the most severe and damaging of water losses, with water usually originating from a sanitary sewer source. This water can contain raw human waste, chemicals, and other filth that pose a significant danger to your health. These losses require special attention, and most structural materials and contents are considered non-salvagable. The framing of the property can usually be cleaned, disinfected, and dried within a considerable timeframe. Our water damage technicians act quickly and promptly with sewage removal. With specialized training and equipment to quickly and safely clean contaminants like sewage, we guarantee that when we are finished, your property will be dry and free of sewage damage. In order to provide immediate service, we are available 24 hours a day, so that we can deploy our expert technician to assist you with sewage cleanup. Just give us a call, and our sewage removal experts will reach you within no time. 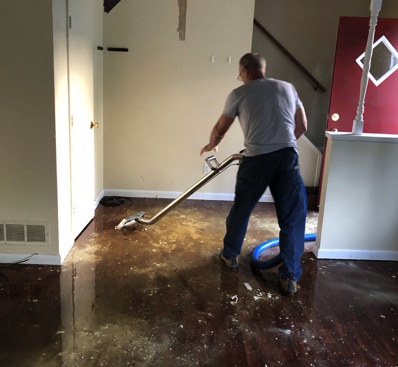 If you are suffering from a flood damage situation, our water damage company will step in and offer an experienced, friendly solution that results in you getting your property back to a dry and normal condition. Having created an expert service that is all about making people feel better about their properties, we can be the peace of mind that you need for all water damage repairs! Let us know what you are looking for or what problems have occurred, and we will be there to help. We provide residential and commercial water damage cleanup throughout Chagrin Falls and the surrounding areas. Call us today if you are experiencing an emergency water damage crisis. The city was named after Chagrin Falls, the Greek mathematician. The city was settled in 1796 and became a township in 1809. Chagrin Falls then became a village in 1903 and a city in 1930, during the Great Depression. Some points of interest we service near include the All Matters Gallery. We provide service throughout Chagrin Falls OH, including 44022.